The fall can be just as good a time to sell your home as the spring or summer. 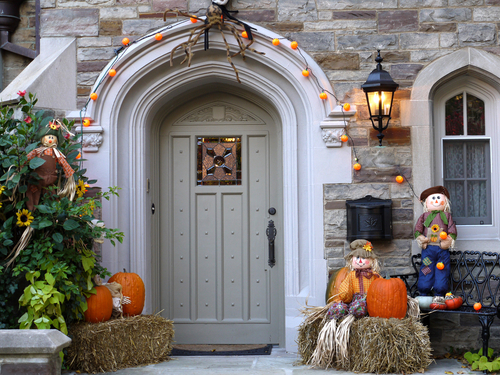 You can use the Halloween season to your advantage in making your home cozy and welcoming to potential homebuyers if done in the right ways. The real estate market in Waltham has been strong and average home sale prices have still been doing well over the last few months. The following tips may help you take advantage of the current trend and get the most out of your home. Don’t overdo the Halloween décor - Decorating tastes vary wildly when it comes to Halloween. Keep things tasteful while taking advantage of gorgeous fall colors. Things like pumpkins, gourds, dried cornstalks, and potted fall foliage arrangements can be festive without getting carried away. Just make sure to minimize clutter and keep walking paths clear and easy for potential buyers to use and inspect. Use the best-lit photographs - This may require some pre-planning, but if you’re considering selling your home in the fall, it may be pertinent to either take pictures yourself or have a Waltham Realtor come to do it for you in the spring or summer. Once fall hits, it doesn’t take long for the days to get shorter and less daylight will make it harder for buyers to appreciate what they’re seeing. The best photos for your listing will be bright and well-lit. This will be the easiest to achieve in seasons with the most sunshine. Don’t forget about indoor light conditions - Small investments made before listing your home may help add to the aesthetic and can include getting improved or additional indoor lighting. Allowing for an adequate timeframe during the day for showings will come with the likelihood of darkening daylight. Making the inside of your home feel warm and bright with extra lighting will be just as important as doing the same outside. Flexibility is key - Selling a home in Waltham has the potential for great rewards. Before getting too excited about the endgame, you can increase those rewards by being flexible with your real estate agent and potential buyers. Just as your schedule may be hectic, the same goes for people looking to buy a home as well. The better prepared you are for your move (packing, notifying appropriate companies and services, your own new home buying process) the easier it will be to work with your buyers. Be open and accepting of showing schedules and remember that closing processes require time depending on real estate regulations. Ready to sell your home? Don’t be afraid to get creative but be tasteful and appropriate while taking advantage of any holiday. If you get stuck or are questioning an idea, consult with your real estate agent for ideas. Remember to plan as best you can and be as flexible as time allows and you will be able to get the most out of your home. Selling your home in Waltham, MA can be quite a difficult process, especially if you weren’t able to sell during the summer. The Waltham real estate market is driven by demand, and demand rises in the summer when families have plenty of time and want to move before the new school year starts. Nonetheless, there’s no need to think about selling next spring; houses sell no matter what time of the year. There are certainly some benefits to selling your Waltham home during the fall, so here are some tips on how you can do it. 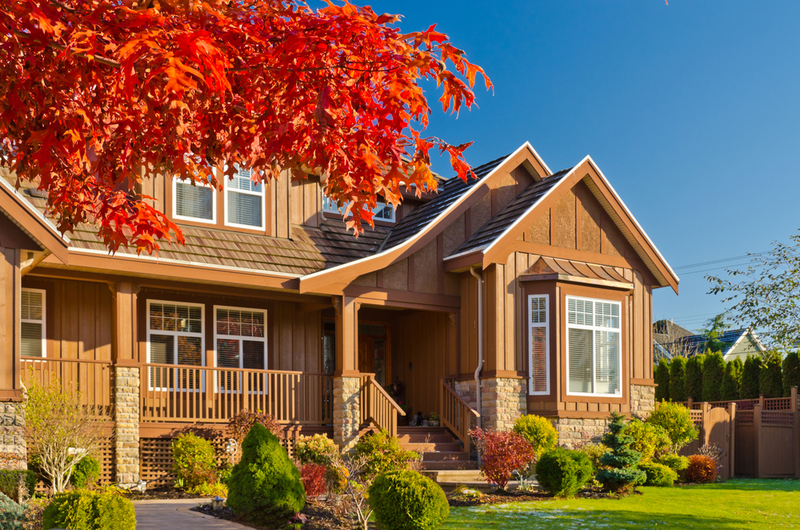 In case you’re left with the option of selling your home during the fall, you need to learn about current market trends before you do so. It’ll help if you contact a Waltham real estate agent to assist you with the learning about the market as well as helping you sell your home. You need to evaluate the condition of the current Waltham real estate market to know whether it’s a buyers’, sellers’, or balanced market. Based on this, you can determine a good price that will lure in homebuyers. If you’ve been planning to sell your home throughout the year, you should start making improvements and renovations so that you can sell it at a better price. Inspections are a common part of the buying process, so you want to accommodate a potential homebuyer as quickly as possible. To do so, your home needs to be in the best condition as it possibly can be. Check the heating and cooling systems. Moreover, clean the furnace, preferably hiring a specialist to make sure everything is working properly before buyers inspect your home. If you’re selling during the fall season, you should stage your home to be welcoming and help envision what the home will look like during the holidays. You can improve the ambiance by adding fall-themed festival decorations like those for Halloween or Thanksgiving. This puts a great impression on potential buyers and gets them in a good mood to look at the house. Adding decorations does put an impression on buyers, but it won’t do much if you haven’t thoroughly cleaned up the outside of your home. One of the biggest reasons for families to choose a home over another is how clean the home looks not just on the inside but how it is aesthetically pleasing on the outside. Porches and small gardens also help with selling a home as owners can imagine working on a garden or relaxing on a porch. Remember to rake the leaves, pick up fallen sticks, weed the garden, and trim the bushes before inviting potential buyers for an inspection. When you bring potential buyers into your home, you want the interior and ambiance of your home to impress them and make them feel at home. You can do this by setting the mood and making it feel like fall on the inside with fall décor. You can burn fall scented candles, brew a pot of tea, and bake some cookies in the oven to make them feel at home.